Balenciaga - Quickly garnering a cult following since their release in 2017, Balenciaga's Speed trainers are instantly recognisable to those in the know. Crafted in Italy, the streamlined bright blue knitted upper is accented with logo lettering along the side of the foot and then set on a chunky white rubber midsole which features the playfully named 'No Memory technology'. The fit runs true to size. 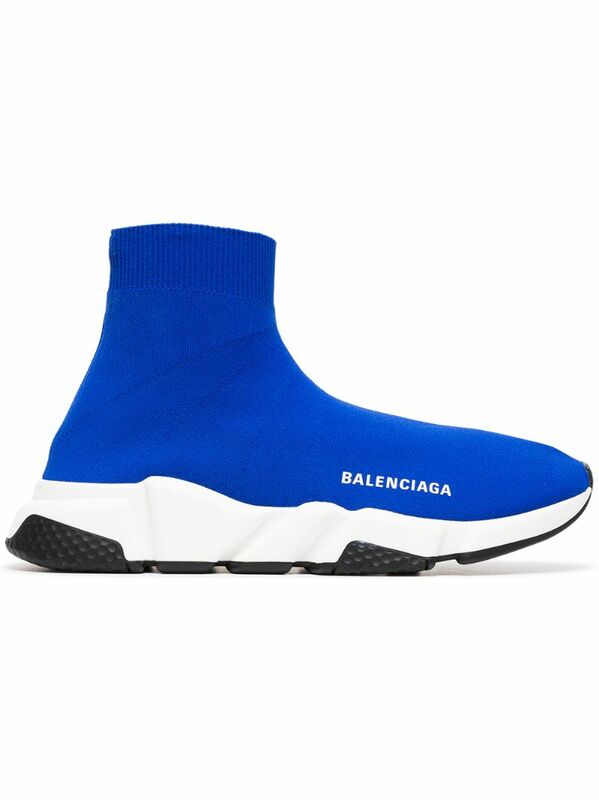 blue and white speed sock sneakers from Balenciaga.